With sixteen seminars, covering the whole of the UK, the seminars offered all attendees the chance to refresh their education on a variety of topics, meet other like-minded individuals, share and gain knowledge and learn best practises. The bowls seminars welcomed a wide range of attendees including greenkeepers, volunteers and club secretaries, while the cricket focused seminars brought together groundsmen representing grass roots, schools, local clubs and international test venues. A great line-up of guest speakers and industry experts including the ECB (England and Wales Cricket Board), the IOG (Institute of Groundsmanship), Bowls Scotland, Bowls England and the British Crown Green Bowling Association, as well as other leading industry companies who were on hand to discuss topics such as maintaining a playing surface, funding support, how to choose the correct grass seed and fertiliser, pesticides and spraying and renovations on a budget. 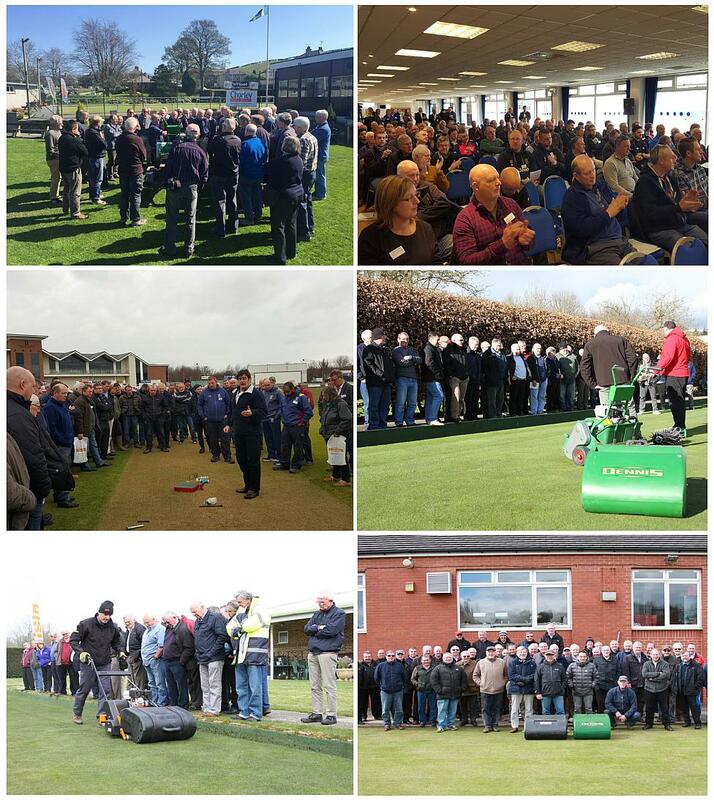 Each seminar also had practical demonstrations which highlighted the best techniques for a range of tasks including aeration, scarifiying, brushing, mowing and pitch rolling. Vic Demain, head groundsman at Durham CCC, presented an entertaining and insightful presentation entitled ‘A Groundsman’s Life’ at the Emirates Riverside Stadium, and he was delighted to be a part of it. Echoing Peter’s thoughts was Alan Mazurke from Littlemore Sports and Social Club: “This event has been very helpful and I would highly recommend everyone responsible for maintaining bowling greens to attend these seminars. We’re all amateurs here and we’ve picked up all sorts of knowledge from various people,” he said. Dennis and SISIS support further sports turf education wherever possible and as well as hosting their own seminars throughout this busy period, they also supported a number of regional dealer events, Rugby Football Union (RFU) Pitch Maintenance evenings and IOG regional events. Further information about the range of bowls and cricket maintenance products available can be found by visiting www.dennisuk.com / www.sisis.com.